I don't understand how insurance rates work, but I'll accept it! I pick up the new FoST tomorrow so I went online and got my insurance all settled up to drive it. I purposely needed to have a smaller monthly payment with the FoST to make up for a bit of extra gas useage and (presumably) higher insurance. I was prepared to pay 5-10$/month extra. I am now paying 5$/mo LESS than the FiST. 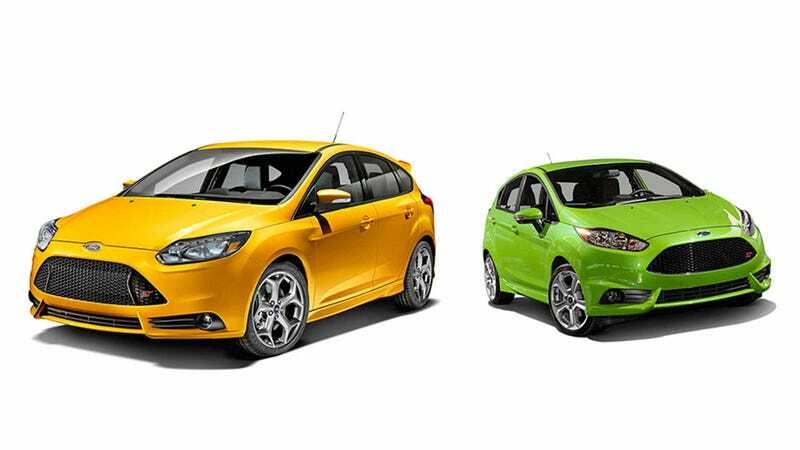 Now, my FiST is lumped in with the rest of the fiesta lineup. The FoST is its own class, presumably because it gets wrapped around telephone poles and tossed into impound lots. And yet, somehow, the FoST is cheaper. I don’t get it, but I’m not complaining.